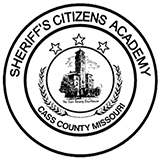 The citizens of Cass County and Missouri have granted certain responsibilities and authority to the Cass County Sheriff's Office. 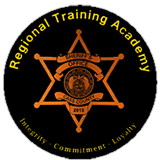 The Sheriff's Office recognizes its responsibility to maintain the public confidence and trust, and the need to ensure integrity and accountability both by the agency and by each employee. As we recognize the rights of all citizens, citizens should recognize that Cass County Sheriff's Office employees must be free to exercise their best judgment in taking necessary and reasonable action in the performance of their duties without fear of reprisal. 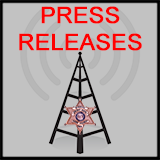 Specific complaint procedures have been adopted by the Cass County Sheriff's Office to ensure that fair and proper action is taken when an employee is accused of misconduct. This also protects employees from unwarranted or false accusations. Additionally, this system provides a means of identifying and correcting deficiencies in policies, procedures, supervision, or training. Any citizen or any Cass County Sheriff's Office employee may make a complaint. Normally, the person most directly affected by the alleged conduct should be the person to complain. An example of this is that a complaint of rudeness to a driver should be made by the driver, not a passenger in the vehicle. Exceptions to this would include a parent filing a complaint for a minor child or other similar situations. Complaints should be made in person, utilizing the proper form. If exigent circumstances exist, a complaint may be taken by telephone, in which case a form will be mailed to the complainant for completion. Complaints should concisely and specifically describe the conduct of the employee that was found to be improper. Rather than say the employee was rude, explain how the employee was rude by providing the specific words or phrases, describing the employee's tone of voice, or citing particular acts of rudeness. Identify the employee as much as possible. This can be accomplished by providing the employee's name, badge number, patrol vehicle license number, and the date, time, and location of the incident. Cass County Sheriff's Office employees are required by policy to properly identify him or herself upon request. If available, include the names, addresses, and telephone numbers of all witnesses. To whom should complaint be submitted? All Cass County Sheriff's Office employees are required to accept complaints if no supervisor is immediately available to do so. Most complaints are directed to the effected employee's supervisor, or to an Administrator of the Cass County Sheriff's Office. All complaints are forwarded to the Sheriff for appropriate action. Complaints may be made at any time. Normal office hours, telephone numbers, and the address are listed at the back of this pamphlet. Additionally, complaints must be made within 60 days of the alleged misconduct to help ensure evidence is still available and recollections of the incident are accurate. The focus of the Cass County Sheriff's Office procedures is on alleged misconduct by a Sheriff's Office employee. This encompasses violations of laws or Sheriff's Office rules or regulations. A disagreement with a policy or law or the application of a policy or law is not considered a "complaint", and will normally be referred to an administrator most directly involved with the policy or law in questions for response. Any charges or legal issues must be decided by the appropriate court. The investigation of your complaint will focus on the conduct of the employee, not the charges against you. Therefore, the charges against you are a separate issue, which you will have to resolve in court. Employees are prohibited from retaliation against you, either in the present case or in the future, for lodging a complaint against them. Anonymous complaints are reviewed; however, investigations are less likely to reveal all the facts surrounding an alleged incident when the investigator is deprived of the opportunity to contact the complainant. Also, an anonymous complainant can not be made aware of the results of the investigation. For these reasons we strongly encourage persons having legitimate concerns to sign the complaint form and fully cooperate with the investigating officer. Upon receipt of a complaint, the immediate supervisor may conduct a preliminary inquiry by telephone, by mail, or in person to clarify specific issues. If an official Complaint Receipt form has not been signed by the complainant, a form will be sent to the complainant and their signature will be required. The complaint form contains an affirmation to the truth of the information provided and a precautionary statement regarding false allegations. This statement is not intended to dissuade persons from lodging legitimate, factual complaints, but is intended to forewarn persons making false or malicious complaints that those officers do have legal recourse for such action and that action is beyond the control of the Cass County Sheriff's Office. If the complainant does not sign and return the form, the action taken by the Sheriff's Office may be limited to conducting a preliminary inquiry. Upon receipt of a signed complaint form, the Administration will assign the case for investigation. Complaints of a routine nature will generally be assigned to the employee's supervisor. More serious or complex matters will normally be investigated by the Investigation Unit. The investigator's report will be submitted to the Administrative staff , where it will be reviewed for completeness and objectivity, and then it will be forwarded to the Sheriff. Disciplinary action will be initiated when deemed appropriate, and in every case, the Sheriff will notify the complainant in writing with a summary of the results of the investigations. Some complaints may be resolved at the time they are made. For example, an explanation that the law requires (or allows) an employee to perform certain acts may satisfy the complainant. Such complaints may be marked resolved if the complainant agrees that no further investigation of the incident is necessary, however, the complaint form will still be forwarded to the personnel file, and be filed for one year. To obtain a Complaint Form, CLICK HERE.